Zip ties, Ty-Raps, cable ties; call them what you will, but it’s hard to imagine doing without these ubiquitous and useful devices. Along with duct tape and hot glue, they’re part of the triumvirate of fasteners used to solve nasty problems quickly and cheaply. They’re next up on the list of mechanisms we find fascinating, and as it turns out, there’s more to these devices than meets the eye. Chances are you’ve come across an Ethernet cable where the small plastic tab that holds the plug in place has broken off. We have a crimper on hand and usually just throw on a new RJ45 connector but [Laxap] found a simple alternative to fix Ethernet plugs. By using a couple of correctly sized cable ties you can secure the damaged connector without replacement. The boxy locking mechanism on the end of the cable tie is used as the catch, slimmed down with the help of an X-Acto knife or razor blade. 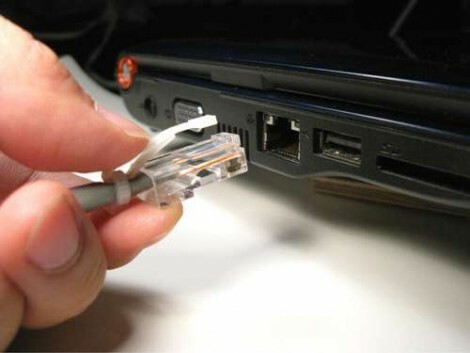 Once you’ve got the right fit, use a second cable tie to secure it to the Ethernet cable. Simple is brilliant.